Gav and I are really excited this Christmas – because at last, at long last [okay, after seven years] we are finally able to play board games properly as a family. Okay, so Hero isn’t old enough to understand what’s going on in them completely yet, but he can throw the die, move counters and most importantly, watch out for sneaky cheaters. Haha. Father Christmas has quite a few board games on his lists this year that our two bigger boys are hoping for – they’ve seen me and their Daddy playing them recently [thanks to a huge board game collector selling some of his collection at IBM] and realised that all fun does not need to stem from Minecraft for all eternity and that there is a world beyond the watching of tutorials on YouTube and the perpetual adoration of Dan TDM. 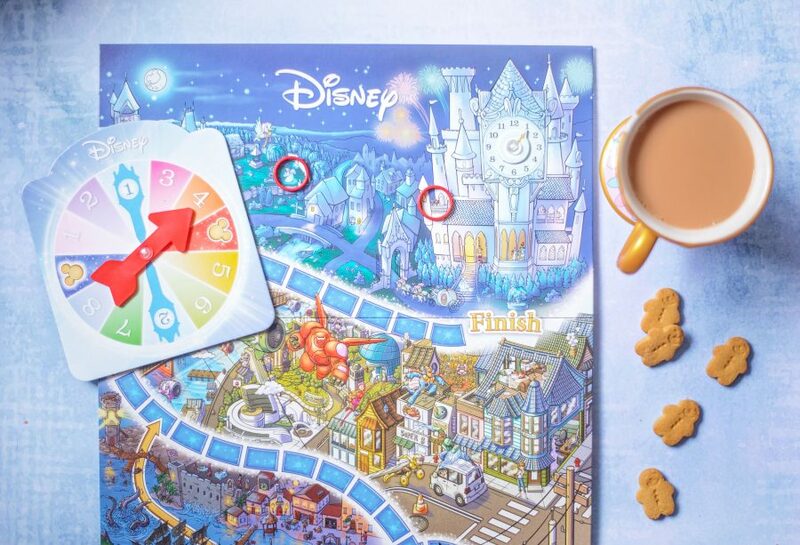 This week we were all so excited because we were sent a DISNEY board game to play, Disney’s Eye See It. I know they were bursting to play this because by the time I’d gotten back from shopping, it was already open and there was a 6-foot long game board staring at me from across the living room floor. The short version is that they love this game – it kept their attention for the whole of the duration of the game and they didn’t even wander off in search of snacks part way through. So, despite the fact that I personally have yet to play it, every other member of my family has and they love it. This weekend I’m making sure I join in. 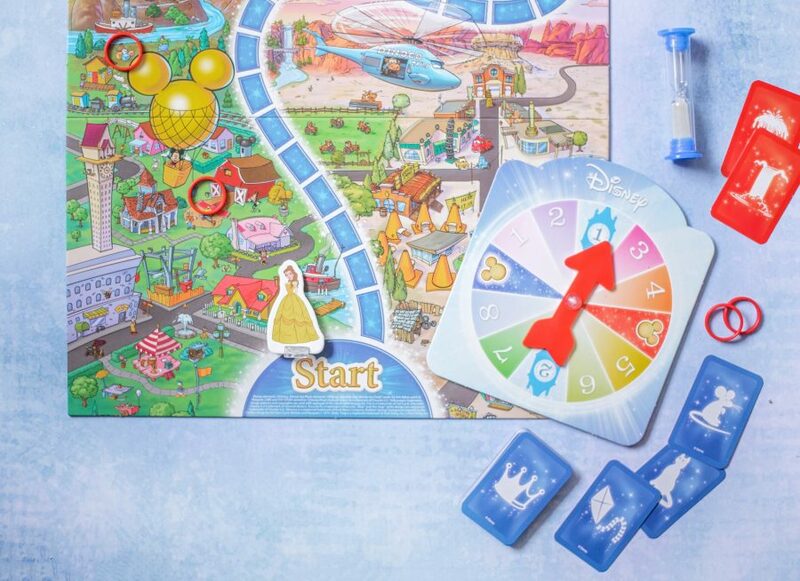 The aim of the game is to wander through 12 Disney realms in search of hidden pictures on the board, and to reach Cinderella’s Clock before midnight win the game. 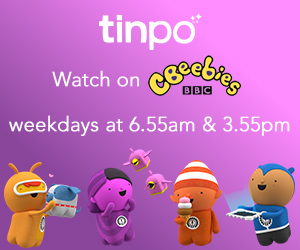 It’s for 2-6 players aged 4 and up, and Hero was absolutely playing this at age 3.5 with some coaching. The game was super easy to set up – Jensen and Yotie managed to pop out the pieces and assemble the clock spinner with no help whatsoever. The game starts with Cinderella’s clock tower being set to 1:00, and the youngest player [Beans in our family] spinning the spinner. There are three possibilities – either the player takes steps forward on the board, moves Cinderella’s clock hands forward, or searches for little pictures on the board [Mickey Mouse Ears]. If the player spins the Mickey Mouse Ears, they turn over a Search Card and everyone in the game begins the hunt for the item shown on the card. Every time a picture is found on the board, a ring is placed over it and a new card is taken up to find until the timer runs out. At the end of the turn they are all counted up, and for each item a player finds, EVERY player takes a step forward. 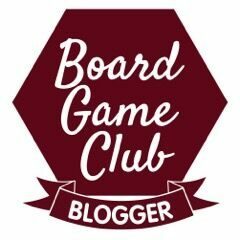 Initially, I thought that because nothing changes about the board with each game, that it would be easy to find the little pictures and the game would become boring very fast – but there are over 1,000 of them to find and remembering where that many are is pretty hard, even for a super brain like Gav. Ha ha. We love that everyone can win – if all players arrive at the castle before the clock strikes midnight, it’s a draw. I love that. 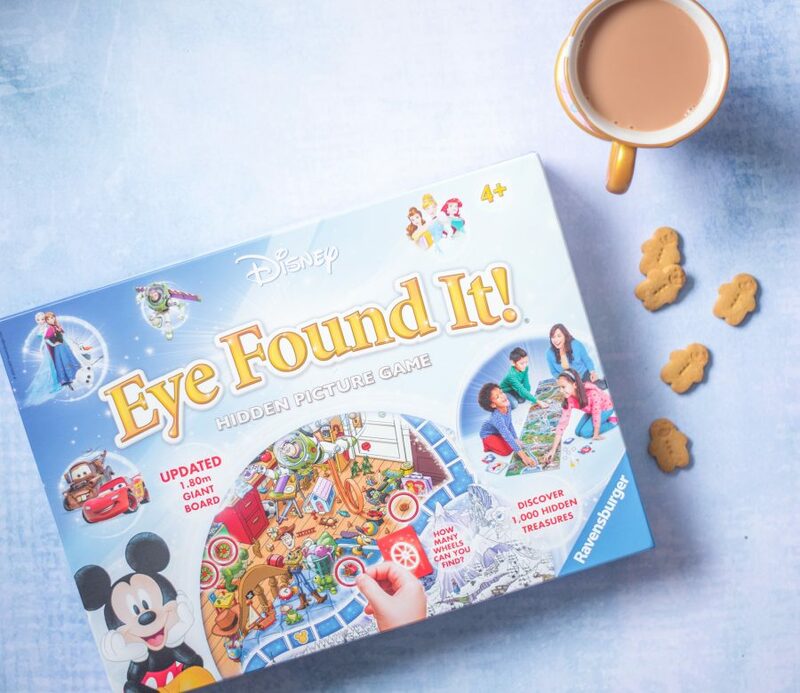 Our verdict: The Disney Eye Found It Board Game is a firm family favourite, and brilliantly simple yet engaging for every member of the family – and as everyone can win, there’s less chance of meltdowns and fall outs!